Break out the long sleeves and sweaters because winter is just around the corner! Not only does that mean cooler temperatures, it also means an increased chance of developing a cold or flu. For singers, this combo of cold temperatures and respiratory viruses can be especially detrimental and wreak havoc on the voice. Luckily, if you’re a singer, there are things you can do to combat the woes of the winter months and maintain your healthy singing voice. 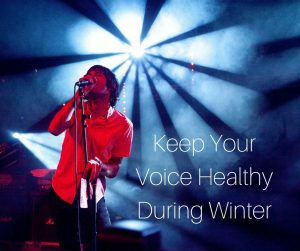 Follow the tips below to keep your voice in singing shape all year long, even during harsh winter months. Winter is notorious for drying out your skin and vocal cords due to a combination of chilly temperatures, brisk winds, and heating systems running on full blast. To keep your voice from drying out, you’ll want to be sure to drink as much water as possible. In order for your vocal cords to function at their peak, they need to be adequately lubricated with moisture. That means staying well hydrated throughout the day and increasing your water intake during the winter months to offset the low humidity in the air. Only with proper hydration will your singing sound as flawless as can be! During the winter months, it’s important to stay on defense and do everything in your power to avoid catching a cold. Cold and flu season are in full force during winter because of the dry air, which causes the nasal cavity to retain more germs than normal. To ward off catching a nasty cold, singers should wash their hands as often as possible, especially when in public places. Colds and upper respiratory infections are a singer’s worst nightmare because they can cause the vocal cords to become inflamed, making singing nearly impossible. To maintain a healthy singing voice during the winter months, you’ll want to be extra cautious of germs. Not only should you wash your hands multiple times a day, you should also avoid sharing drinks or food with others to keep yourself healthy and cold-free. As mentioned previously, dry air is harmful to your voice. During the winter months, not only do singers have to worry about naturally occurring environmental dryness, they also have to worry about dryness in their living environment caused by heating systems. One way singers can counteract this problem and care for their voice is by using a cool-mist humidifier. Humidifiers are ideal for singers because they provide additional moisture, helping to keep the environment cool and relatively humid — conditions which make for a healthy singing voice. Cleaning radiators and filters to remove any excess dust particles from the air, which are known to irritate the throat. No matter what winter brings your way, be sure to give your voice the extra attention it needs during this time; otherwise, your singing will suffer. 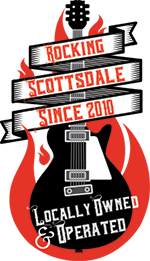 And for flawless singing year round, consider vocal lessons from Scottsdale Music Academy. 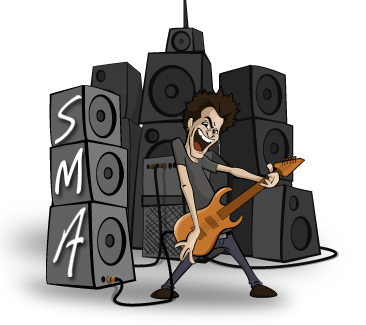 We’ll help you sound your best (even during winter) and teach you how to care for your voice like a pro!